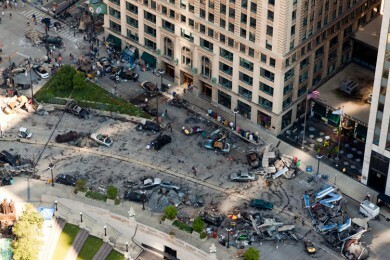 For most of summer 2010, Transformers 3 took over sections of downtown Chicago – closing streets, setting off explosions, and having fake gun battles with semi-automatic weapons. 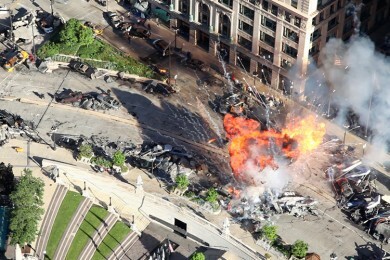 For a few weeks, the set was right outside my apartment, and I captured some footage of the events from my balcony. 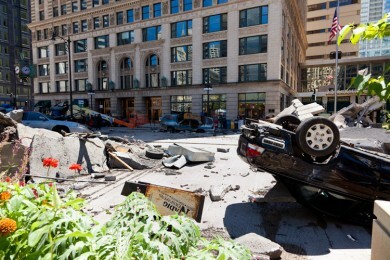 Despite feeling like we were living in a war zone all summer with frequent, unexpected booms and gunfire, it was interesting to watch such a large-scale, high-budget production take place right outside. I’ve re-edited some of this footage into a new video to coincide with the release of the movie. 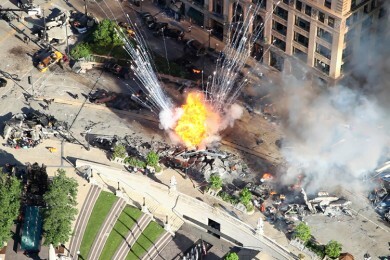 This was shot between July 23-25, 2010 and includes the largest explosion scene during this shoot and timelapses of the setup and teardown of the set.